A long-time partner of NeuAbility, the Chanda Plan Foundation's mission is to provide access to integrative therapy, primary care, and other complementary services to improve health outcomes and reduce healthcare costs for persons with physical disabilities. We provide qualified individuals with funding for participation in exercise-based recovery programs and the purchase of adaptable products. These programs and products have been proven to greatly improve the physical and emotional well-being of the injured individual. The mission of The Mary and Charles A. Parkhill Foundation for Spinal Cord Rehabilitation is to raise funds that will be granted to individuals, in the form of scholarships, to obtain therapy services. 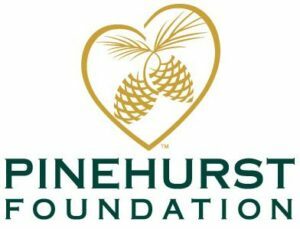 The Pinehurst Foundation was formed to fill a gap for individuals facing serious medical needs with inadequate personal resources to meet that need. We provide relief for the poor and distressed or the underprivileged by assisting in making available appropriate medical care to individuals with that financial need. To Forever Change the Recovery Outcome of Spinal Cord Injury, Currently Perceived as Unchangeable. The mission of the Home Builders Foundation is to build independence, provide opportunities and elevate lives for individuals and families with disabilities in our community. For over 25 years PASCO has been pioneering the way for people with disabilities to live independently with choice. This road was paved with a mixture of advocacy, support, and compassion for our clients and caregivers. We are still driving forward to this day. Assistive Technology Partners' mission is to empower individuals with disabilities to achieve their highest potential through the use of assistive technology, by providing exemplary clinical services, consultation, education, research and innovative technology development.